4BR/2.5 BA w/main level HOME OFFICE. 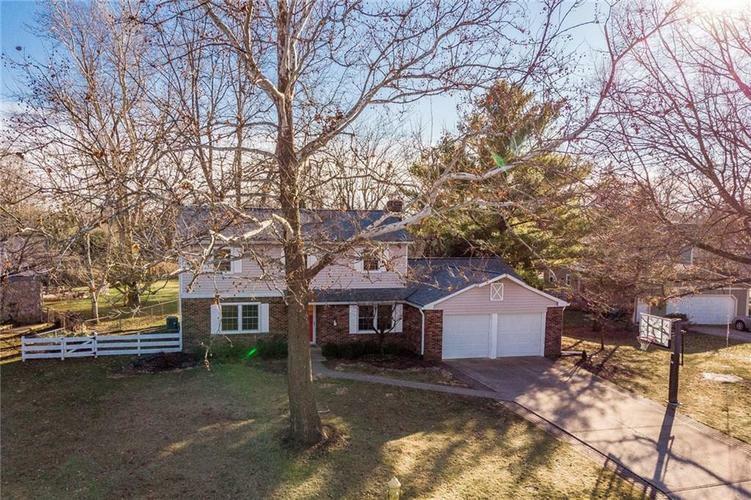 Home is just across the street from MORSE RESERVOIR and garage has EXTRA BAY to store jet skis and lake toys.Wonderful EAT-IN KITCHEN w/spacious HEARTH room and fireplace. Formal LR and DR. MASTER BR SUITE w/walk-in shower. Home is meticulously cared for and clean. Recent updates include, 50 yr roof,gutters,siding Pella Windows,vinyl plank flooring, 18 in insulation, electrical box,ceiling fans and fixtures,refrigerator,BRAND NEW VENTLESS LOG INSERT PROVIDES EXTRA HEAT SOURCE. Yard is FENCED. Enjoy neighborhood pool, clubhouse,tennis/pickleball ct,basketball ct,playground,pavilion,walking trail/nature preserve,beach area and lake access for canoes and kayaks.Elementary school is right in neighborhood. Directions:SR 38 West to South Harbour Entrance. Turn Rt on South Harbour Dr. Follow thru neighborhood (past elem on left. clubhouse on right) to Elderberry. Rt on Elderberry. Rt on Willow Way to home.